Most importantly, an entire generation had been decimated: a country of 39 million inhabitants lost more than a million and a half people to various causes directly linked to the war, with more than a million of those dead or gone missing during combat. Those who returned were wounded, invalids, and traumatised by their experiences so much that veteran associations would be the main support of French pacifism during the interwar period. The memories of this generation exist in all French families: papers, photos, diplomas, medals, or old uniforms. From family lives to the life of the state, the war influenced everything in France at the time, and still retains considerable symbolic force, despite the fading of memories and the increasingly tenuous link between the realities of this war and our own environment. This has been clearly on display during the long series of commemorations, ceremonies, and debates that marked the centenary of the war in the years 2014–2018. These celebrations not so much triggered as revealed a number of evolutions and phenomena at different levels, linked to the memory of the war, but also to the state of scientific research and to the state of politics in the country. They also revealed a worrying trend where history as a reasoned relation to the past becomes overwhelmed by the use of the past for immediate, current political purposes, in an atmosphere electrified by culture wars and social media. One of the most interesting aspects of the centenary was the strong involvement of the population in the collection of documents, memories, and objects through the network of not only local but also national archival repositories. The celebrations were early on focused on the figure of the soldiers, their experiences, memories, sacrifices, and a visible emphasis was put on collecting documents and experiences and making them available to the public and researchers. What this brought forward was a varied but active cast of non-academic history hobbyists gathering family documents, objects, photos, etc. Genealogists, family or local historians came out through, for instance, the French Ministry of Defence’s campaign Morts pour la France aimed at indexing the names of soldiers whose names had been inscribed on the more than 36,000 “monuments aux morts” erected between 1920 and 1925 in France and elsewhere, from Greece to the Baltic Sea. The Ministry of Defence and various administrations also published a lot of material online, from the diaries of several regimental units to prefectural reports on the situation in France during the war. The time period of 2014–2018 has also seen a re-appropriation by artists, novelists, and filmmakers of themes linked to the First World War. Novels revisited the war, from Jean Echenoz’s 14 (2012) to David Diop’s Frères d’âme (2018), sometimes quickly adapted into movies such as Pierre Lemaître’s Au revoir là-haut (2013, adapted to the screen in 2017). Graphic novels under the influence of Jacques Tardi’s C’était la guerre des tranchées (1993) evoked the war. In these works, the war is mostly the war of soldiers, an incomprehensible, traumatic, tragic conflict – seeing the years of war as a purifying, heroic, nation-defining experience has passed long ago in mainstream French artistic productions. This dominating emphasis on war as a tragedy and the concentration of popular memory on the fate of the soldiers bring us to long-term evolutions in the academic treatment of the First World War. The earliest studies had mainly researched the causes of the war and military operations, but studies have lately placed soldiers and their experiences in the centre, privileging the study of war cultures. The historical focus also broadened to take into account societies at war as well as more varied aspects of the conflict, from death to war invalids, from economy to the role of women, etc. Antoine Prost summarised these evolutions by saying that “nations, societies, and then humans” were successively the main focus of attention. In these general evolutions, national experiences of memories were different: war was a painful victory for France, but it was a defeat often forgotten in Germany, where the First World War has been described by Nicolas Patin as a non-event in terms of national collective memory . For the British historiography and culture, the war appeared early on as an absurdity imposed on Britain, considered with an ironic distance, mixed with the memory of the Irish conflict and relations with the Commonwealth – a trend best illustrated in Richard Curtis and Ben Elton’s 1989 season of the Black Adder TV series, Black Adder Goes Fourth. At the level of academic history, the centenary was for the most part the occasion to replay historiographical debates  in a field now characterised by the focus on war cultures and war experiences. The most prominent debate opposed two schools of thoughts regarding the mental universe of French soldiers in the early days of the war. As the study of societies at war displaced studies of diplomatic and military events, this debate became the defining line organising the field of First World War studies in France. The two camps are represented in different organisations with their own publications and leading figures. In this debate, Jean-Jacques Becker, former head of the Historial de la Grande Guerre, created in 1992 in Péronne, and Stéphane Audoin-Rouzeau represent one end of the spectrum. To them, the soldiers of 1914 were inscribed in societies infused with nationalism and patriotic messianism, and for the immense majority consented to their fate and to the sacrifice that was asked of them. These researchers have spoken against a tendency to victimise the 1914 soldiers, to represent them as lambs to the slaughter led by blind officers. Their opponents, on the other hand, have recently emphasised witness accounts and daily experiences the front, which seem to show that soldiers did not consent but were forced to wage war, a constraint they resisted against through a vast array of tactics, from “Blighty wounds”  to mutinies. For them, the role of the historian is to look under the veneer of consent into the mechanisms of constraint imposed on the troops by the elites and the propaganda. This debate had already before the centenary moved from academia to the political field, each group taking positions on the political ground as well. Long dominant in academic research, Becker’s school has however been passed by the general culture: as mentioned earlier, most movies, books and artistic productions issued in the last 30 years in France and dealing with the First World War propose the image of unwilling soldiers brainwashed by their state and mowed down on the field while uncaring “chateaux officers” are spared the onslaught. The centenary, however, mixed officers and soldiers in the celebrations of their experiences and the sacrifices they made. Another area uncovered by the evolutions of historiography, and in which the academic consensus has made its way into the centenary’s commemoration, is the role and treatment of soldiers from the French colonies in sub-Saharan and Northern Africa. Not only their participation in the conflict but also their treatment by the military and by European populations on all sides of the conflict – as soldiers, prisoners of war, occupation troops, etc. – has been brought forward by historical research in great detail, and they have been included in the commemoration ceremonies despite grumblings from conservative and extreme-rightist circles. For example, a statue celebrating African soldiers in the French army, erected in 1924 in the town of Reims, and destroyed by the Nazis in 1940, was reproduced in 2013 and inaugurated in November 2018 by the President of France Emmanuel Macron and President of Mali Ibrahim Boubakar Keita. This evolution might contribute to the emergence of a more inclusive version of the French national history. Apart from these debates and a strong trend of general volumes on various aspects of the conflict, new researches have also emerged, dealing for instance with the memory and the memorial use of WWI. Some of these have come from a robust francophone strain of Digital Humanities. 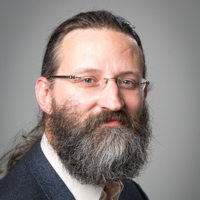 In a number of articles, Frédéric Clavert has worked on the centenary as seen through the online social network Twitter. By analysing data collected on Twitter, he looks at the memory of the war, the political debates about the commemorations, and the variety of ways in which users have related to time and to memory . This gives him the possibility to come out of a French context and look at the centenary also from an English-language and German-language perspective. Although the centenary has been a multileveled affair, its most visible aspect has obviously been a number of small-scale scandals, in which the object “WWI” has been used as fuel for the political culture wars of our times. 2016 saw a spat of such scandals linked to the commemoration of the battle of Verdun in May 2016. As the official ceremony in 29 May 2016 was a Franco-German effort, for the French government, it involved a subtle equilibrium between commemorating all dead soldiers, emphasising the Franco-German cooperation, and satisfying demands for a clear French narrative of a battle won over Germany, all that in a context where the President of France Francois Hollande was heavily criticised domestically. In this context, two events were used to attack the official organisation on the French side of the ceremony. First, the town of Verdun and the organising committee of the centenary decided to cancel a concert by hip-hop singer BlackM scheduled in the town after the lyrics of his songs were deemed disrespectful to France by a series of extreme-rightist websites. 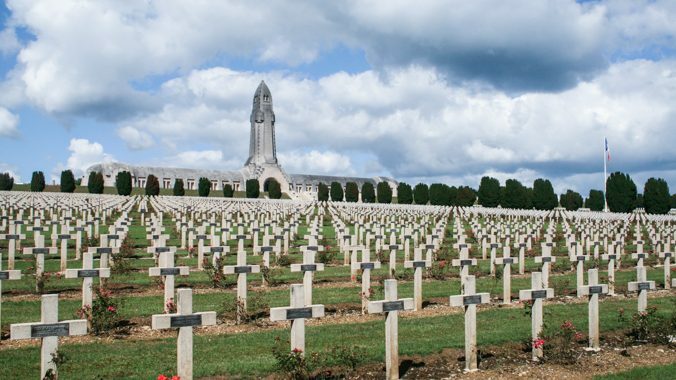 Second, the choreography of the ceremony in the cemetery of Douaumont, organised by German filmmaker Volker Schlöndorff, was criticised on social media for its use of the cemetery as a setting. 2018 seemed to advance more quietly on the front of the centenary’s commemorations, despite President Emmanuel Macron’s difficult position and a very vocal opposition. It didn’t last, however, as a series of events unfolding during the past few weeks grew last week into a full-blown scandal linked to one of the most controversial figures of French contemporary history: Marshall Philippe Pétain. Pétain’s role as a pivotal leader of the French army during the First World War is generally mentioned in connection to his role as a Nazi collaborator during the Second World War. However, there has been an on-going debate, which in essence is a political one, over the place to be reserved in commemorations to a character that the French judicial system had condemned to “indignité nationale” (national unworthiness, a judgment tailored for collaborationist leaders which stripped them of their civil rights). This question emerged in the debates surrounding the organisation of a military ceremony at the Invalides complex in Paris, where some of the French marshals have been buried – although not Pétain. Macron had decided not to participate in the ceremony, but on 6 November, during an improvised discussion with a journalist pressing him on the case of Marshall Pétain, Macron declared that Pétain had been a “great soldier” and deserved to be mentioned for his role on behalf of the French victory. Despite some explaining done afterwards, this declaration quickly morphed into a scandal, with both sides of the old debate expressing their views. Macron’s name can thus be added to a long list of French presidents stumbling on the same Pétain issue, from Charles de Gaulle to Jacques Chirac. This scandal was made even more depressing by a few articles on the websites of English-speaking press titles (The Guardian, The Washington Post etc. ), which criticised Macron for “his plan to honour a Nazi collaborator”. The prospect of clickbait proved visibly so strong that no time was left to sort out the details before jumping to conclusions. These scandals were in essence expansions of an inflamed political context in the field of the uses of history, with social media exacerbating their intensity through its specific logic. In the case of the 2016 scandals, as Clavert emphasised, the mainstream media amplified a signal born amongst extreme-rightist circles, exacerbating the tension. In the case of the most recent debate, it mixed the resurfacing of old tensions around Philippe Pétain’s place in the collective French memory and a latent domestic political context where Macron’s position is heavily contested. History, as Clavert writes, gives room to a form of instant memory: a relation to the past in which past events are considered solely through the current day’s passions and used as artifacts in current debates. One last interesting political point is the way the centenary has also attracted attention outside France, making it an international event on many levels. Several heads of states have along the four years of this centenary travelled to France, from the President of Mali to the Prime Minister of Australia. The WWI battles on French soil have been extremely important to the development of the national identity in, for example, Australia and New Zealand. Battles on the Somme in 1916 are especially remembered and were the objects of specific ceremonies with heads of states and governments in attendance. While the war has been presented as a warning beacon for contemporary Europe and an exhibit in defence of functioning European institutions, historiographical and political debates have remained mostly national. To sum up, the centenary that will end in early 2019 clearly shows that WWI is still present in French memories. The details are hazy, as the war is to most Frenchmen a distant memory. But this distant memory has been actively reinvested in current debates, although not primarily from the historians’ point of view. If the centenary has drawn the contours of a collective memory mostly based on the sufferings of soldiers on the front, it has also been used to feed the many political divisions of the country. Finally, the centenary has also shown the appetite of vast sectors of the population for being involved in discovering the past of their communities (family, town, region, group, etc.) through concrete engagement outside academic circles. There is a demand for history, and an activism around history that has been tapped into and revealed by this centenary, and which especially French archival repositories have gladly engaged with. Antoine Prost and Jay Winter’s conclusion in their book Penser la grande guerre has been shown once more to be true by this centenary: “World War I doesn’t belong to anybody, not even to historians” (“La guerre de 1914 n’appartient à personne, pas même aux historiens”). For historians, the challenge in this context is to reach out to an avid public while remaining within the boundaries of their professional ethics. The best summary of historiographical debates on WW1 in the main European countries and in the US is given by Jay Winter and Antoine Prost in their book Penser la Grande Guerre. Un essai d’historiographie (Paris, Seuil, 2004). In English, Winter published already in 1995 Sites of Memory, Sites of Mourning. The Great War in European Cultural History (Cambridge University Press, 1995). A term of British military slang used during the First World War, referring to a type of wound received in combat which is serious enough to get the soldier sent away from the fighting, but is neither fatal nor permanently crippling. See Clavert, ”Commémorations, scandale et circulation de l’information : le Centenaire de la bataille de Verdun sur Twitter”, French Journal For Media Research, 10/2018 and ”Temporalités du Centenaire de la Grande Guerre sur Twitter”, in Valérie Schafer (ed. ), Temps et temporalités du Web (Presses Universitaires de Paris Nanterre, 2018).